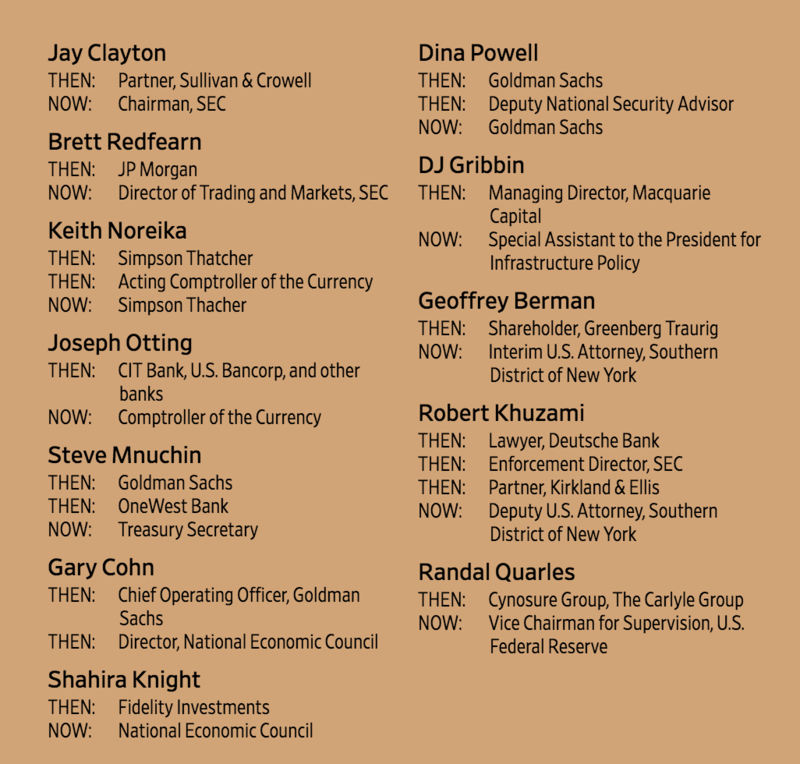 “Too big to fail.” If reading that brings a little bit of red to your eyes, you’re not alone. Though originally popularized in the 1980s during the bailout of Continental Illinois National Bank, this phrase once again became common parlance during the 2008 financial crisis. According to the Federal Reserve Bank of Cleveland, this saying became synonymous with the unwillingness of regulators to close a large troubled bank because they believed the short-term costs of a bank failure were too high. So, it’s no surprise that nearly half (49 percent) of Americans still have negative associations with the term “too big to fail,” according to a recent Chime survey. The generations who had the strongest negative connotations included boomers (55 percent), many of whom lost their retirement savings in 2008, and millennials (50 percent), who graduated to a nonexistent job market. In the decade since that phrase was splashed across newspapers and discussed at every dinner table, the United States has slowly clawed its way back from the financial crisis. This brings up the question: Has anything really changed? Following the Great Recession, the American people bailed out banks, investors, and shareholders. The Federal Reserve slashed interest rates and pumped trillions of dollars into the American economy. Ten years later, the same big banks are still at the top of the game: JP Morgan, Bank of America, Wells Fargo, Citibank, and US Bank. Across the U.S., banks had record profits of $56 billion in the first quarter of 2018. Although CEOs earn less than before, they’re still killing it. 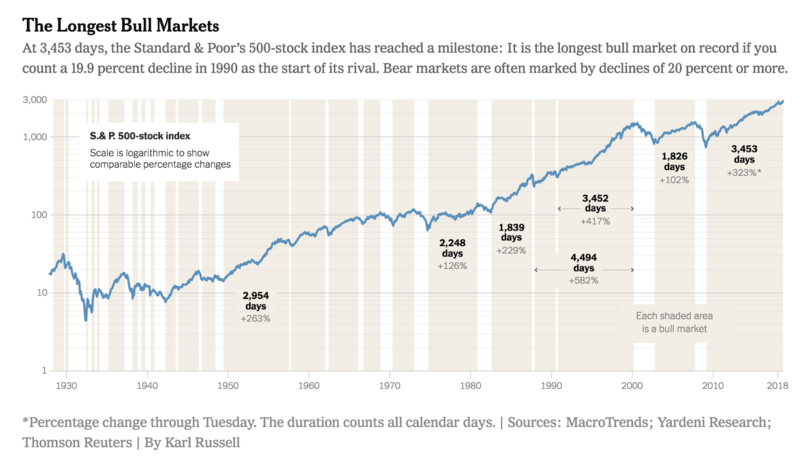 The stock market has sustained one of its longest bull runs in history, with the S&P 500 growing more than 300 percent since the crisis. “This is not an industry that has examined itself and remade itself in the wake of the crisis,” stated Phil Angelides, chairman of the Financial Crisis Inquiry Commission, in The Wall Street Journal. That’s despite Dodd-Frank, a 2010 bill that aimed to protect consumers by placing more controls on banks, including their lending requirements. While the bill did result in increased accountability and oversight, the current administration has begun to roll back some of its provisions. Even if the remainder of the consumer protections stay intact, the WSJ points out that many of the regulators have backgrounds in the very industry they’re supposed to be monitoring. In other words, banks are doing well, executives and stocks are flying high…but how about the American people? Every year since 2013, the Federal Reserve Board has asked 12,000 adults about their financial lives for the Survey of Household Economics and Decisionmaking (SHED). According to the 2017 report, only 7 percent of adults say it’s “difficult to get by financially” — about half the number who said so in 2013. And nearly three-quarters say they’re either “living comfortably” (33 percent) or “doing okay” (40 percent). Although things have improved, that doesn’t mean everything is OK. Here’s a deeper look at the numbers. Unemployment has dropped to 3.9 percent, lower than it was before the recession. Even the “real” unemployment rate — which includes people who’ve stopped looking for work and people working part-time because they haven’t found full-time opportunities — is only 7.4 percent. Not counted in that percentage, though, are the people who aren’t looking for work because they can’t find childcare, are addicted to opiates, or are turned off by low wages. Of the Americans who are employed, more than one-fifth (23.3 percent) are in jobs where the median wages fall below the federal poverty line, reports the WSJ. 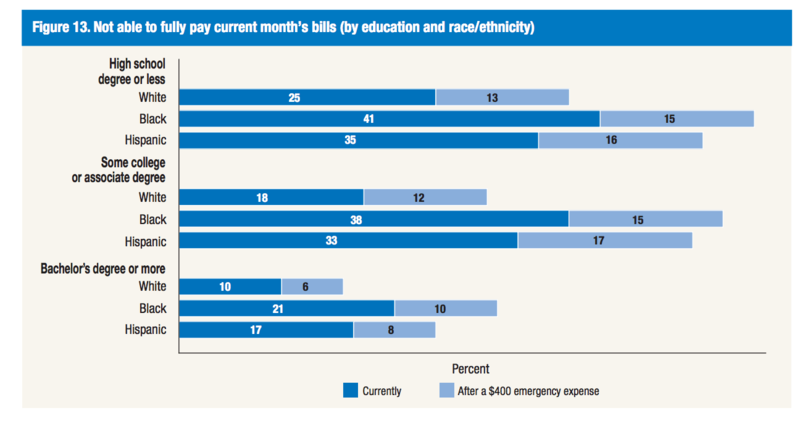 Nearly 40 percent of adults, according to SHED, have family incomes of less than $40,000. Overall, the WSJ says median household income has only risen 5.3 percent since 2008. Chime’s survey underscores this: 54 percent of Americans are living paycheck-to-paycheck. More people, SHED learned, are working on the side, too: 31 percent of adults engaged in gig work in 2017, up from 28 percent in 2016. Despite these promising signs, the wealth gap continues to grow. One report by the Federal Reserve Bank of St. Louis went so far as to say millennials may become a “lost generation” for wealth accumulation. 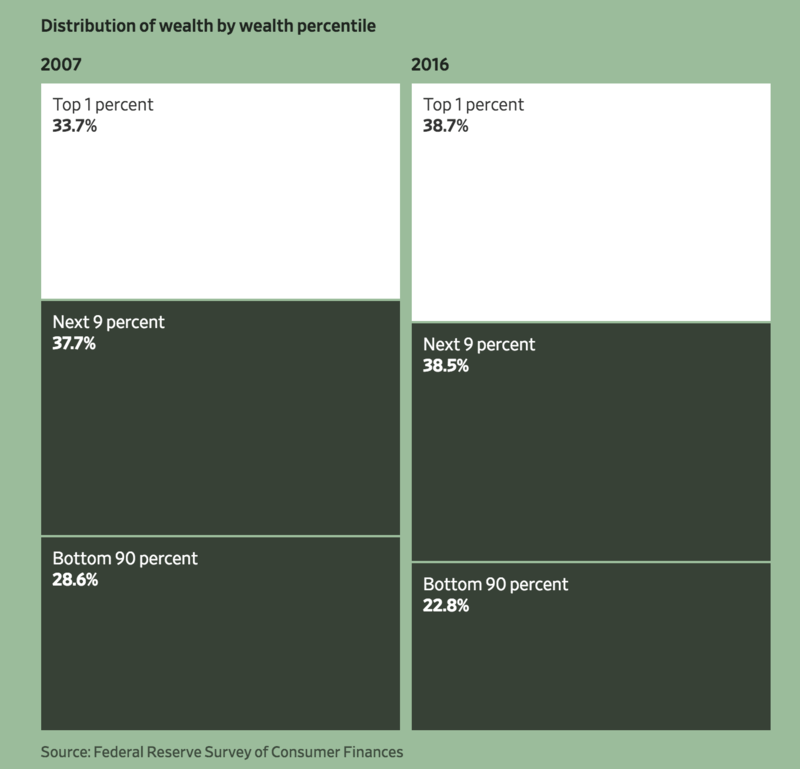 “Wealth in 2016 of the median family headed by someone born in the 1980s remained 34 percent below the level we predicted based on the experience of earlier generations at the same age,” stated the report. Those with exposure to the stock market — just half of the American population — have bounded ahead, while everyone else has been left behind. In the New York Times, Nelson D. Schwartz reports the “proportion of family income from wages” has fallen from 70 percent to just under 61 percent. The rest, he says, is largely from investments. When the recession hit, Americans lost $16 trillion in net worth. Today, the wealth of the median American household is still 34 percent lower than it was in 2007, according to the New York Times. Why? Because for families without large investments, their wealth was wrapped up in home value. Although housing prices have fully recovered — with the average house price 1 percent higher than the peak in 2006 — there aren’t as many homeowners as there were before the recession. In what The Penny Hoarder calls “The American Nightmare,” 9 million people lost their homes during the housing crash. According to CNN, the overall homeownership rate dropped from 69.4 percent in 2004 to 63.1 percent in 2016. And, of the Americans who rent, nearly half of them are cost-burdened, according to Harvard University. 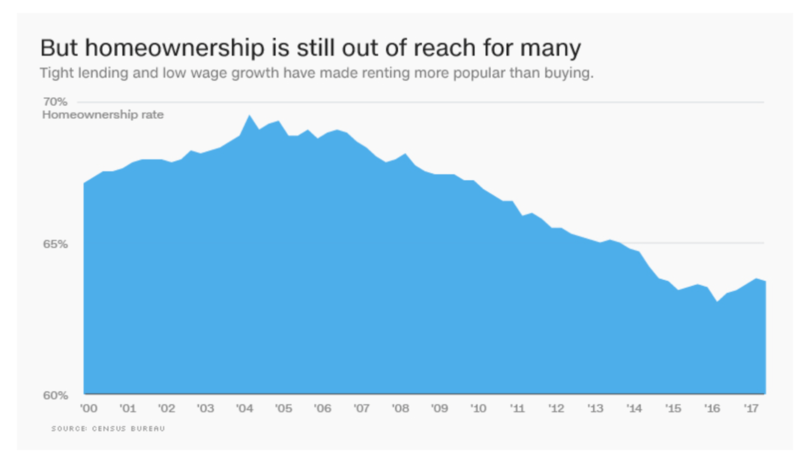 This means they spend more than 30 percent of their income on rent. Debt also remains a common struggle. In fact, Chime’s survey found that 65 percent of Americans have some sort of debt, with 40 percent carrying more than $10,000 and 14 percent carrying more than $50,000. Student debt, in particular, has crippled millennials. Today’s students graduate with nearly $40,000 of loans, according to Student Loan Hero. When faced with an unexpected expense of $400, 40 percent of adults can’t pay for it, reports SHED. While that figure has decreased from 50 percent in 2013, it still isn’t good. Twenty percent of Americans are behind on their debt payments, according to SHED; a slight increase from 18 percent in 2015. When it comes to retirement, the picture is also bleak. SHED reports less than two-fifths of non-retired adults think their retirement savings are on track. One-fourth have no retirement savings or pension whatsoever. Though the traditional financial industry may not have learned much from the Great Recession, entrepreneurs did. They immediately saw a need for a new breed of financial businesses. They realized banking and financial services should no longer be exclusive, confusing and predatorial. Instead, entrepreneurs thought financial institutions should be helpful, transparent and free. So, in the years after the crash, fintech companies started sprouting up left and right. 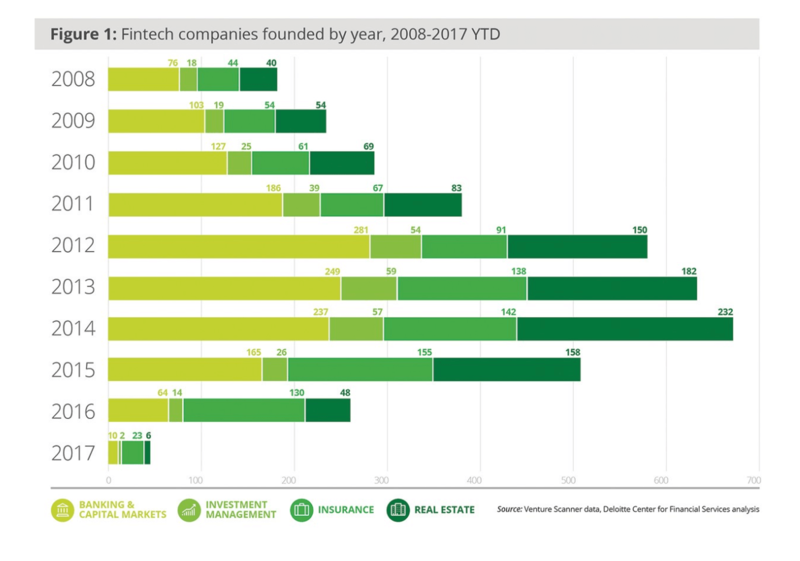 While the streak of new companies began to slow in 2015 — perhaps, Deloitte posits, because other technologies like bots and blockchain have attracted entrepreneurs — investments into fintech are still robust. And, when it comes to mobile banking, those customers are more satisfied. Fifty-nine percent of the millennials we surveyed would recommend their online or mobile bank to a friend. Of those who used national banks, only 22 percent would do the same. 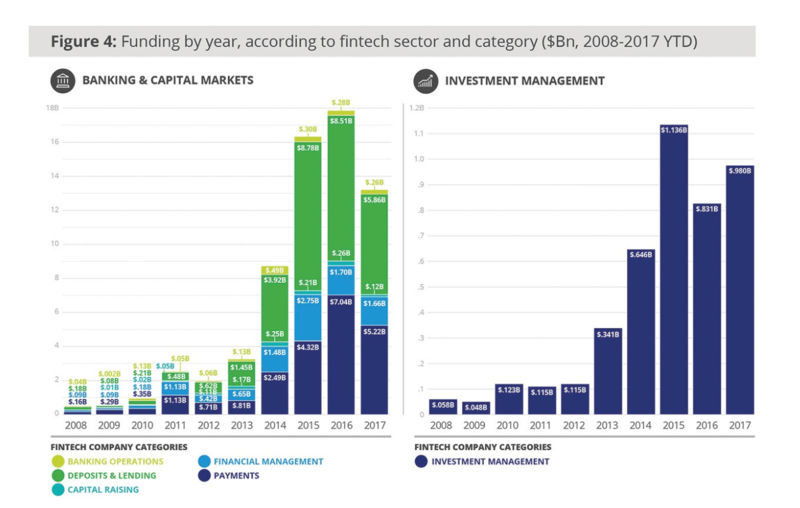 Although the financial crisis has had a lasting impact on Americans, it’s also created a landscape in which fintech can thrive. So, if there’s been one benefit of the Great Recession, it’s the growth of new financial companies that value transparency and put consumers first. New fintech startups are indeed helping today’s consumers close tomorrow’s wealth gap. For example, Chime offers comprehensive, modern banking with zero fees. With services like Early Direct Deposit, you can avoid predatory payday lenders. And, with automatic savings features, you can build your emergency fund without thinking about it. In other words: we’ve got your back as you achieve your financial goals.